(Lillenas Publications). 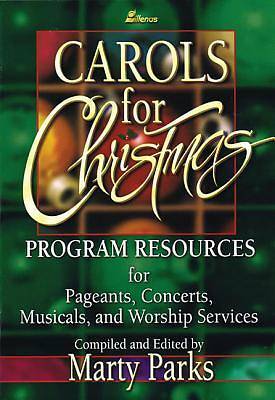 Includes a variety of resources based on Carols for Christmas (71900014), a flexible treasury of 52 favorite carols. These resources include scripts, readings, Scripture arrangements, monologues and dialogues, and creative ideas which will provide you with creative programming for worship services, pageants, concerts or full-length musicals.